This week I'm featuring a Meatless Monday dish that can be prepared using a slow cooker. A longtime favorite of multitasking mothers, the slow cooker is also very energy efficient appliance and perfect for anyone wanting to cook a great tasting meal with minimal effort! I had a few readers ask for a meatless slow cooker recipe and had a great time doing research. 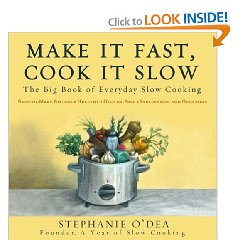 In the process, I found Stephanie O'Dea's blog, A Year Of Slow Cooking. 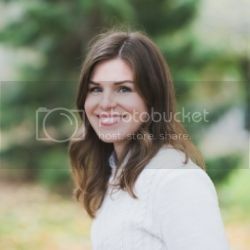 She started the blog as a new years resolution in 2008 it has recently spun off into a book called Make it Fast, Cook it Slow. She shares countless recipes and tips and that is where I found today's recipe. If you missed last week's recipe, check it out HERE. I used to prepare alot of meals in the slow cooker and it is wonderful! I made some fabulous applesauce too in the slow cooker..yummy! This dish looks fabulous - my daughter and her bf are vegetarians, so I will pass this on! I'm going to have to get this book....we just got a slow cooker and I'm having trouble getting inspired. I love chili and I love sweet potatoes, so I'm guessing I would LOVE this dish!